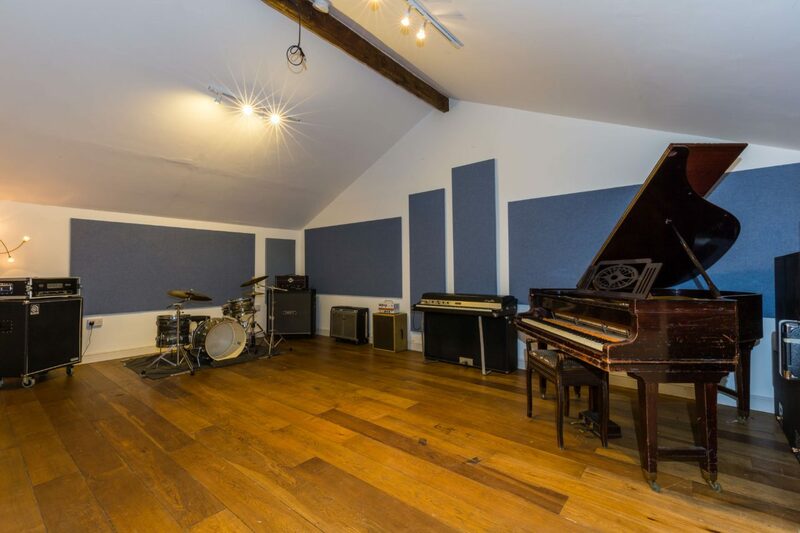 The Paddocks offers generous rehearsal space in an isolated setting with beautiful views across the North Leicestershire countryside. Hospitality and recreational facilities always available. (Kitchen, Shower, Arcade games, DVD, Playstation1 2 3 and 4 , xbox, xbox 360 and xbox One). Use of back line and vocal PA included or full PA plus monitor rig available for residential rehearsal by negotiation. Room – the 27ft x 14ft acoustically treated space offers the flexibility to comfortably record live ensembles or capture pin-drop accurate performances from the most delicate of soloist. Residential facilities available by arrangement. Discounts available for residential / regular repeat bookings. ONE OFF BOOKINGS ARE WELCOME AT A COST OF £20 PER HOUR. CALL US TO COME HAVE A LOOK.